Great news for one of the graphics industry’s best supporters of environmental sustainability. Kodak has entered into a partnership with Wenn Digital to build and launch an image rights management platform for photographers. Wenn is a blockchain developer and the platform Wenn has developed is called KodakOne. 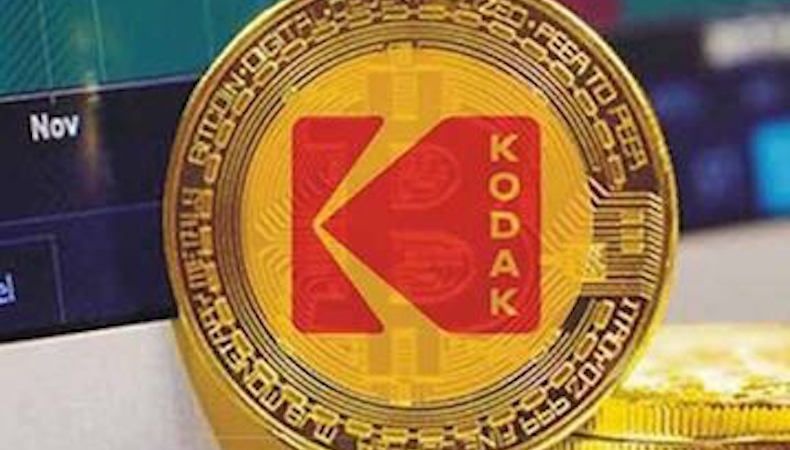 The associated cryptocurrency is KodakCoin, a delightful echo of Kodachrome for the digital age. The launch of KodakOne and KodakCoin confirm Kodak as the industry’s leading photographic company. KodakOne is designed specifically for photographers. This image rights management platform is based on a blockchain, a distributed and secure database technology. Content blocks are added to the database, which resides on multiple distributed servers and each block is specifically linked to the preceding block, hence blockchain. Blocks cannot be changed without messing up the link to the preceding and following blocks, so it would take an entire network of participants to corrupt a single block in the chain. This is the data management principle that makes an encrypted digital ledger secure. Blockchain technology is a foundation for secure digital data management systems and KodakOne is such a platform. It is the first of its kind for the graphics industry. The KodakOne platform stores new and archived images, so that their use can be monitored and licensed. It uses webcrawler technology to continually monitor the web in search of images registered in its blockchain. When it finds them it confirms licenses and automatically pursues and processes license fees and any copyright infringements. Payments are made in KodakCoin, Kodak’s image specific cryptocurrency. Agencies and photographers can therefore use KodakCoin to monetise their work. The most obvious reason for this being good news for print’s sustainability, is that the move has improved Kodak’s finances, which will help it to continue with its sterling environmental work. The company’s shares jumped by well over four hundred percent when KodakOne was announced and have since settled to a three-fold improvement, suggesting much more market confidence in the company. The second reason is that the KodakOne platform is just such a brilliant idea. Not only does it provide copyright protection for photographers, the market where Kodak’s fortunes were originally made. It also solves one of the biggest concerns of the digital age: monetising digital content. With KodakOne, photographers and designers have a platform for their images which ensures that the images are used legally and in an accountable way. The KodakOne platform and KodakCoin are currently specific to images and KodakCoins are traded within a tightly controlled environment dedicated to photographers. But the platform and the cryptocurrency could easily expand to include other forms of creative work, such as text. KodakOne could be a foundation for a completely new approach to content commerce in the graphics industry. It’s nothing short of a revolution. Thank you, Kodak!